The Lucky Charms bundt cake from Chelsea's Messy Kitchen is a St. Patrick's Day dessert that appeals to both kids and adults. 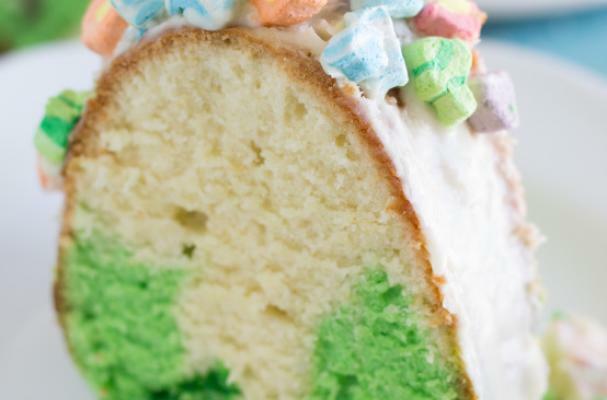 This cream cheese bundt cake is swirled with green cake batter and Lucky Charms marshmallows to create a festive treat. Once baked and cooled, the cake is covered in a cream cheese glaze and topped with more marshmallows. Each bite is sweet, moist and absolutely delicious. To make this St. Patty's Day bundt, click here.